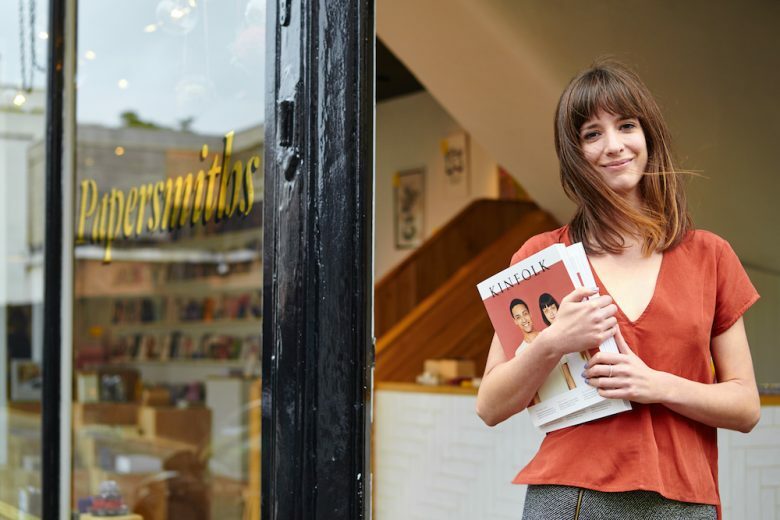 Read how Sidonie Warren left her teaching career to follow her creative passion, and started not one but three businesses, including stationery company Papersmiths. I worked as a sale assistant for a retail fashion brand while studying my degree in education. I started out as a primary school teacher while making jewellery, selling vintage clothes and dabbling in illustration. In 2011 I quit teaching and co-founded Studio B where I’ve worked on graphic design, mural painting, studio management, illustration and project management. I’m also Creative and Company Director at Papersmiths, which I co-founded in 2013. In 2017 I started my new business; a homewares and crystal store called Two Palms. Where did the idea for Papersmiths come from? Papersmiths came from a necessity to find some income, fast! My business partner Kyle Clarke and I had been running our design studio for two years and we found ourselves with very little client work, no cash reserves and a shop front. We saw the opportunity in the shop front and turned half of our studio into a shop. The product choice was easy. Kyle hoards paper and I’m obsessed with notebooks and pens so we decided to bring together a collection of books, journals and stationery from our favourite designers. We drew a diagram of the space, sketched out furniture, enlisted the help of Ross Clarke of Beer Garden Co, built the fixtures, reached out to the designers we wanted to stock and placed our orders. It was simple, fast and reckless. I’d say it’s a combination of the product and the environment. Our product offering is paper products to inspire your practice, coupled with the stationery goods you need to create your work. Everything has been sourced with love and instills a feeling of curiosity in us – we hope it will in you too. Each of our store environments is unique and compelling and custom designed by our studio. Stationery aficionados, paper appreciators, design lovers and small business owners. We use traditional PR and social media. What’s been your most successful PR strategy? Some of the best opportunities have come to us without us pursuing them such as Estee Lalonde’s London stationery video, features on Buzzfeed, products in The Telegraph and various influential people featuring our stores and products on their social channels. Others have been the result of PR investment. 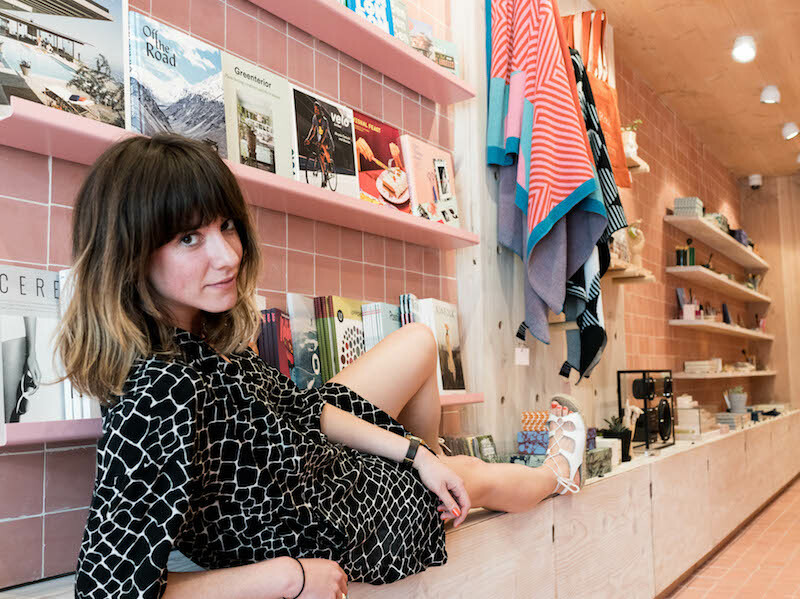 When we opened our Shoreditch Papersmiths store, we invested in PR for six months and were featured in Wallpaper*, The Evening Standard and Courier. The balance between having too much stock and too little – and we haven’t overcome it yet! Product sitting on the shelves is the same as having your cash sitting on the shelves. You need enough for the store to look full and appealing, but not so much that you can’t put the cash to good use if it’s suddenly required to be reactive to sales patterns or to fix something. My proudest moments are when I see someone with a Papersmiths carrier bag, or hear someone saying something positive about the brand. When I first read that question, my initial thought was ‘It isn’t, it isn’t important to me at all, I don’t even do my ‘work’. I put it off!’. At the moment ‘work’ to me represents the admin that goes with my responsibilities as a Director. The emails, the forms, the phone calls and web pages where I set people up on systems. I’d describe the creative direction part of my role as my passion. Isn’t that strange? That’s actually the most important part of my role! Thanks for making me aware of that. I’m going to re-define ‘work’ in my mind. So, with my newly altered perspective, my very important creative work is important to me because it fulfills me and enables me. I love beautiful things, I love stories, I love to travel and I love to connect with people. Papersmiths allows me to visit different cities and meet designers, to find new stationery and paper goods, to put them together into collections and to share them with our team and customers. And I’m usually collecting and telling stories throughout the process. It’s so fulfilling and I’m very grateful to have this as my work. Now, who would like to be my PA? Business owners who are advocates for building a business and a role that works for you. My colleague Becks Lee who is super positive no matter what’s thrown at her. I’m single and don’t have children yet. My parents and sisters are pretty understanding if I’ve got work stuff on, but generally it’s not that hard to balance work with hanging out with them. I guess I’ve got all that to come! My babies are going to grow up surrounded by pencils and will be adept travelers, that’s for sure. My main advice is to do it. Create the job you love. My second piece of advice is to do your research first – projections, talking to local traders, look at your competition. And my third nugget of wisdom is if you’re growing organically, and have no savings or investment, hold onto your day job until you have saved up a bit of cash and can afford to support yourself. You can find out more about Papersmiths on their website.